That was the phrase that Rauner hammered at repeatedly during his remarks, which were made as the Illinois House and Senate engage in a special session to work on a school funding bill that will allow education facilities throughout the state to open this fall. The Republican press conference comes a day after House Speaker Mike Madigan indicated that he feels the Democratic-controlled legislature has enough votes to overturn any potential veto of SB-1, a funding bill that includes provisions to help with the pension crisis in Chicago. 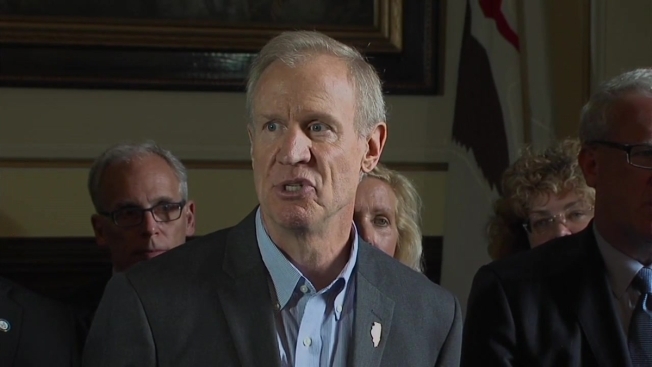 Governor Rauner has said he will use an amendatory veto on the bill if it reaches his desk in its current form, striking out the provisions related to Chicago schools. That bill still has not been sent to his desk, and Republican lawmakers criticized Speaker Madigan and Senate President John Cullerton for their tactics during the financing impasse. President Cullerton has said publicly that he wants to have a meeting with the governor to discuss the bill, which is being held as lawmakers seek more time to compromise on the specifics of the legislation. Despite Cullerton’s entreaties, Governor Rauner insists that there is no real appetite for compromise on the part of Democratic leadership.